Three sculptors explore the influences of cultural and creative inheritance in Bloodlines, a collaborative installation slated for the Commerce Building at 950 Pacific Avenue. 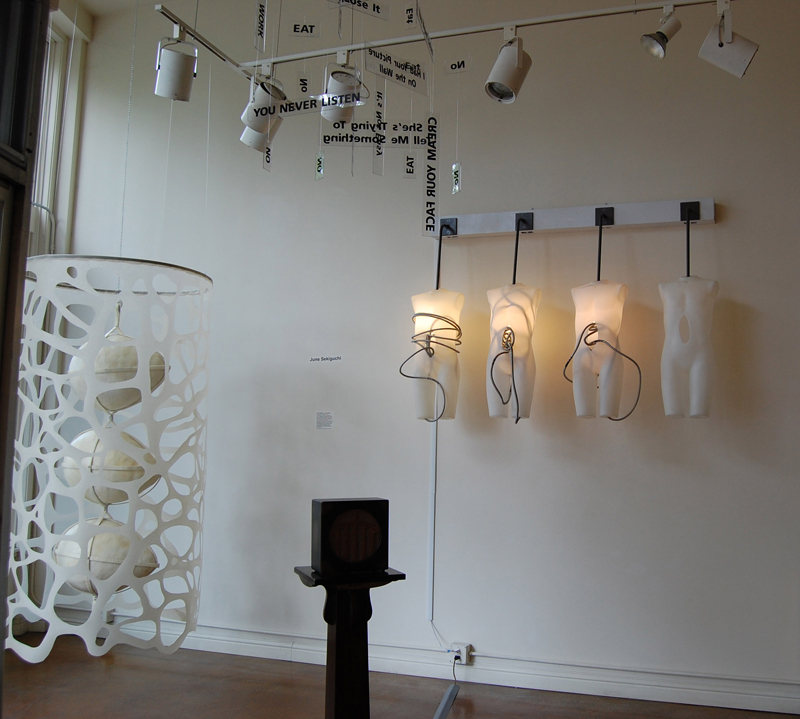 The work includes Motherland, a wall/pedestal installation by Mary Coss; You Never Listen, an audio/hanging installation, and Where Did You Go, a wall sculpture, by Pamela Hom; and Family Portrait, a hanging sculpture by June Sekiguchi. While the artists worked independently, their proposal describes how intersecting influences and themes resulted in a cohesive body of work. Coss examines the hidden world of the unconscious, inspired partly by research into her genealogical roots. 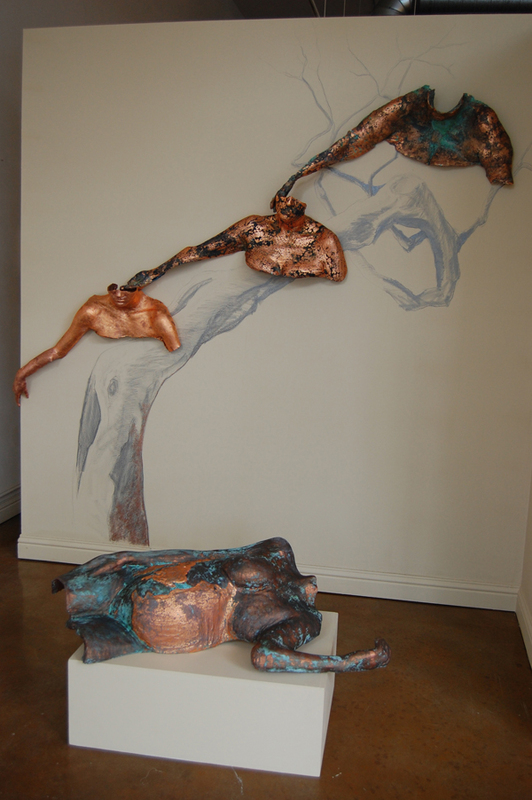 Hom’s sculptures reflect the thoughts and emotions connected with the death of a parent. Sekiguchi expresses her “fierce” instinct to protect her children with a metaphorical portrait of three eggs shrouded by ancestral bones.